Description: This image depicts a dorsal view of an adult, Cimex lectularius bed bug. 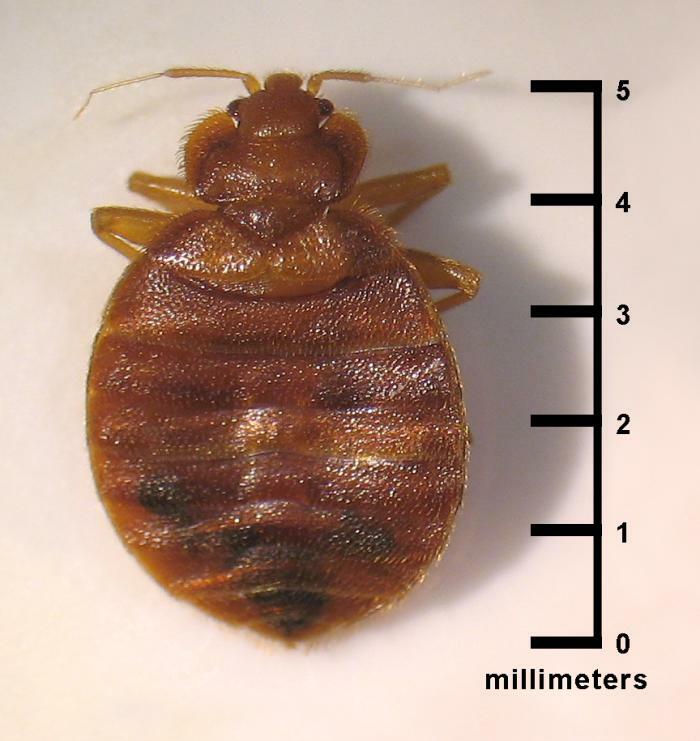 Adult bed bugs are on average 5 mm long, oval-shaped and dorsoventrally flattened. Like other members of the order, Hemiptera, they possess piercing-sucking mouthparts. Adults are brachypterous; the hindwings are nearly absent and the forewings are reduced to small, leathery pads. As you can see here, nymphs look like smaller, paler versions of the adults.